Beauty and the Beast is one of the most popular theatrical shows every year. 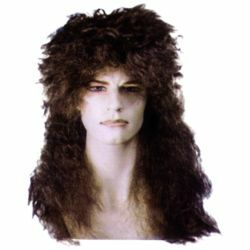 Traditionally an over sized curly “plabo” style wig. This is a straighter version of the beast wig with a slight wave but not as curly and full. The straight beast wig available in brown.